The architectural firm, Kessels Diboll Kessels (KDK), acquired by VergesRome, designed numerous multi-story parking structures in south Louisiana. Architect Tony Taffaro Sr., now part of the VergesRome team, brings extensive experience in designing parking structures that are not only safe, functional, and provide the needed parking capacity, but are also respectful of the architectural scale and style of the adjacent facilities. 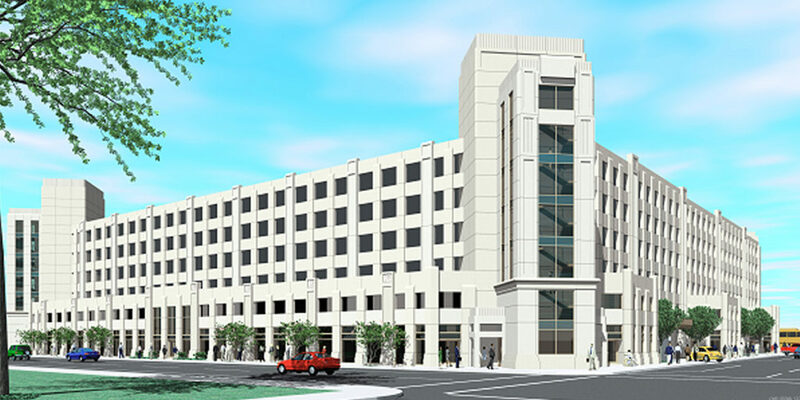 The two parking structures at Louisiana Capitol Park provide nearly 4,000 parking spaces for workers and visitors to the State Capitol and other nearby government buildings. Both garages were designed to complement the Art Deco style of the State Capitol Building and the other adjacent State buildings. 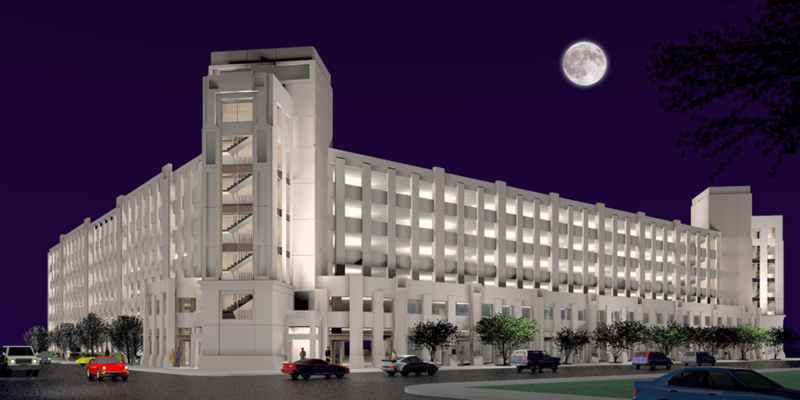 The Galvez Garage contains 10,000 sf of Farmer’s Market and retail spaces on the first floor, and the first floor of the LaSalle Garage offers an 8,000 sf YMCA facility plus 2,000 sf of retail space, providing a mix of uses and activities for pedestrians.